New Double Chamber Vacuum Packaging Machine Model DZ400. 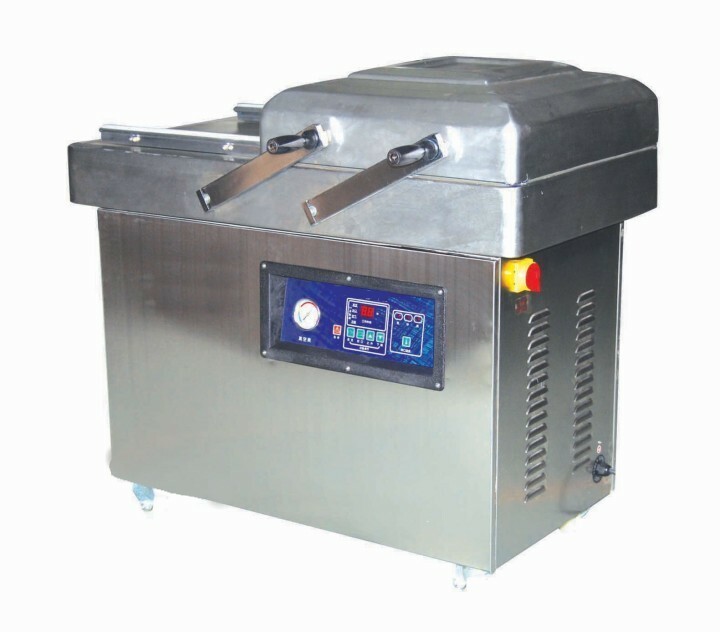 Unit is designed to vacuum product from the food, pharmaceutical, chemical and electronic industry. Can vacuum seal product up to the following sizes: 570 x 540 x 110 mm (22” x 21” x 4”), has a sealing length of 500 x 10 mm (20” x 0.4”). Sealing Speed: 1-4 packages per minute. Electrics: 1Ph/60Hz/220Volts. Delivery Time: Approx 3-4 Weeks.